WILLIAMS FIRE & HAZARD CONTROL Services offer knowledgeable, proactive fire response support services along with advanced portable and systems-based fire suppression solutions. With more than three decades of experience and several hundreds of major incident successes, our Emergency Response Services personnel have shaped response tactics and developed equipment to meet today’s most threatening oil, gas, chemical and industrial fire challenges. Combining our advanced equipment applications and situation-specific training programs, we can provide comprehensive planning and response capabilities that maximize success in helping to protect life, client property and the community. 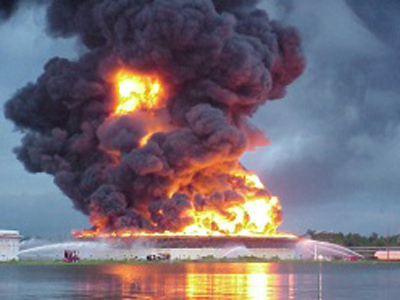 WILLIAMS FIRE & HAZARD CONTROL Emergency Response Team has successfully responded to over 250 industrial fire events since 1980. No single incident is ever the same, and each event provides further education and understanding that improves the team’s ability to handle the next challenging hazard when it arises. 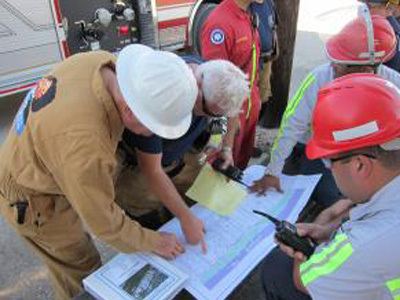 Tapping into their extensive response experience, the WILLIAMS FIRE & HAZARD CONTROL team helps identify site-specific hazards and fire protection solutions tailored to each unique scenario. WILLIAMS FIRE & HAZARD CONTROL Services offer rental options for class-leading response equipment, including high-volume water pumps, large trailer- and skid-mounted monitor packages, and a wide variety of hose sizes. With an array of available equipment, we can meet your specific application needs.